That A Benjamin Sleeth was born is a fact, as his marriage to Mary Quinton is recorded at Abbots Bromley, February 14, 1753. Likely he was born sometime between and 1713 and 1735 making him between 18 and 40 when he married. On checking the records, there does not appear to be any Sleeth’s or Quinton’s baptised in this Parish around that period, so the likelihood is that Benjamin and Mary did not grow up here. Benjamin Sleeth with his wife Mary, had a son William, October 22, 1769 and recorded it in the Parish Records of St. Editha at Church Eaton, Staffordshire. 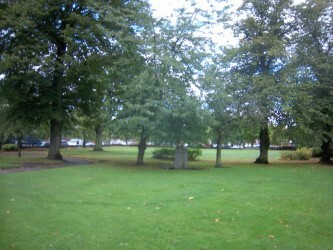 Many of the descendants of William Sleeth/Sleith are buried there. (Note the spelling changes Sleeth to Sleith to Sleath for later generations.) William is the only Sleeth baptised here in this time period. Baptismal Record for William Sleeth/Sleith (1769) who was the son of Benjamin Sleeth. 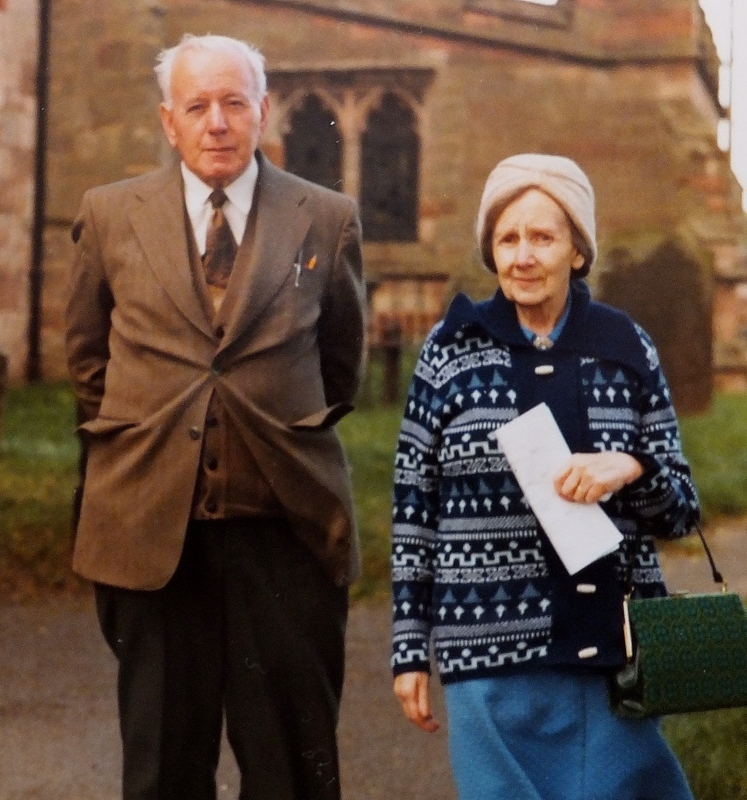 Nan Sleath Bailey and Richard Sleath at St. Editha Church…1979. 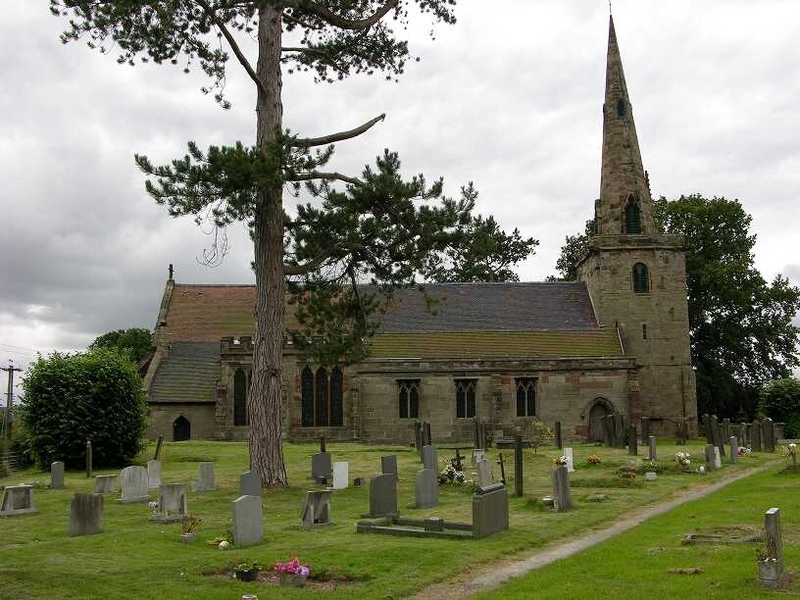 I also have Benjamin Sleeth’s burial in Bloxwich, Staffordshire at All Saint’s Parish Church on September 16, 1798 which was 45 years after his marriage. We could assume that, had he been born in 1713, he would have been 85 years of age and if born in 1735, he would have been 58 years of age. His wife Mary, had been buried 10 years earlier in 1788. 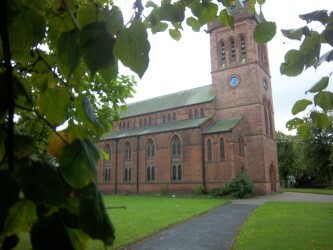 “Throughout the Middle Ages Bloxwich had been a small agricultural village with a population of around 600, but it expanded in the 18th century when coal mines were opened. There were many cottage industries at this time, making awls, nails, needles and saddle blades. 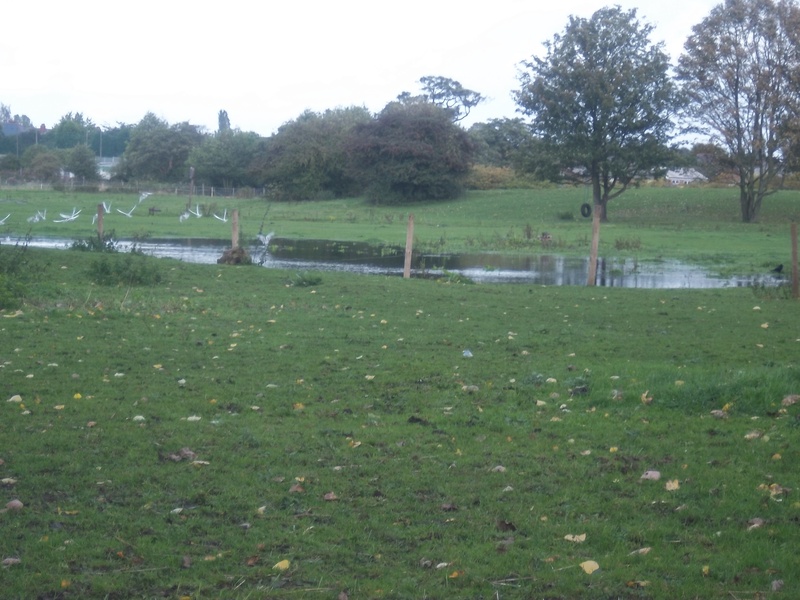 By early 19th century Bloxwich was surrounded by canals, encouraging expansion, as goods could be moved more easily. 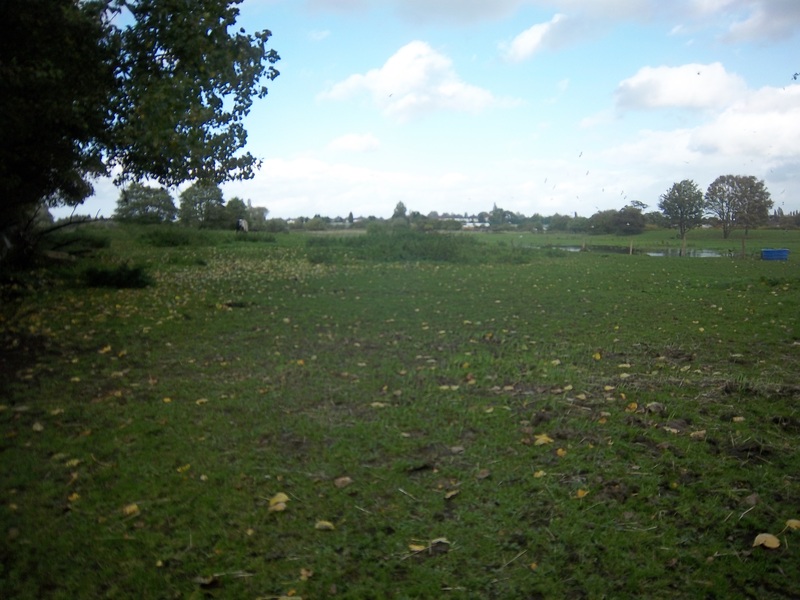 “We had a good afternoon – after several days of non-stop rain and more due for the next three days that I took a walk to Station Road Rushall and can now send you updated photos. No 72 is still there, windows different. I guess the two sheds were the back gardens? I walked along a drive at back and took two photos of the view which there must be from the house. 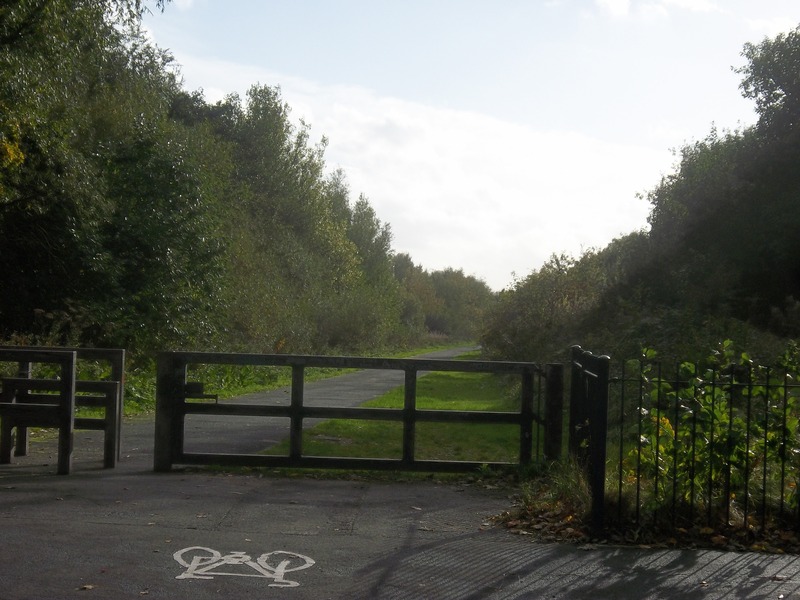 One of the last photos shows the cycle path now going through what is known as the Goscote corridor (goes through the land at the back of 72) and the big stream. The countryside in the Goscote corridor hasn’t changed over the past 40 years! 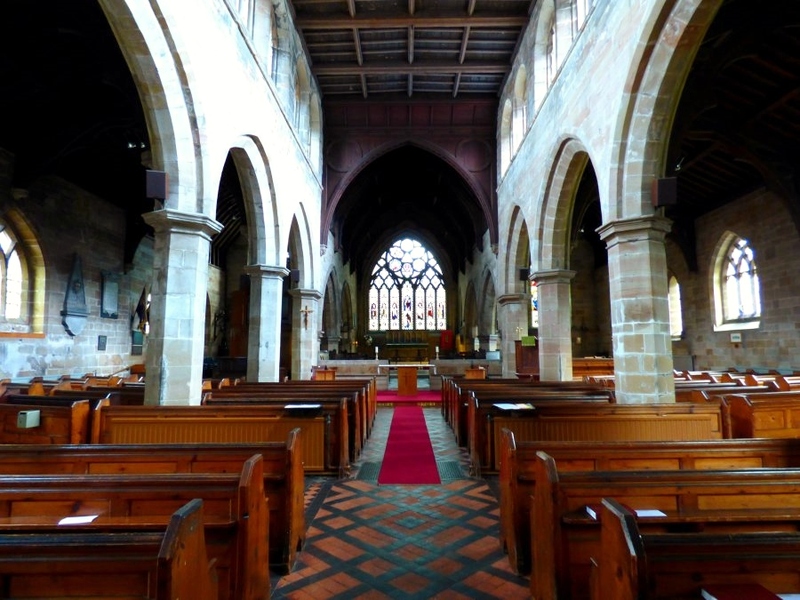 Benjamin is not a name that was popular with any of the Sleath’s anywhere at that time…I only found one baptised in 1665 in Gilmorton, Leicestershire, and none in Warwickshire or Staffordshire in the 1700’s using Ancestry. 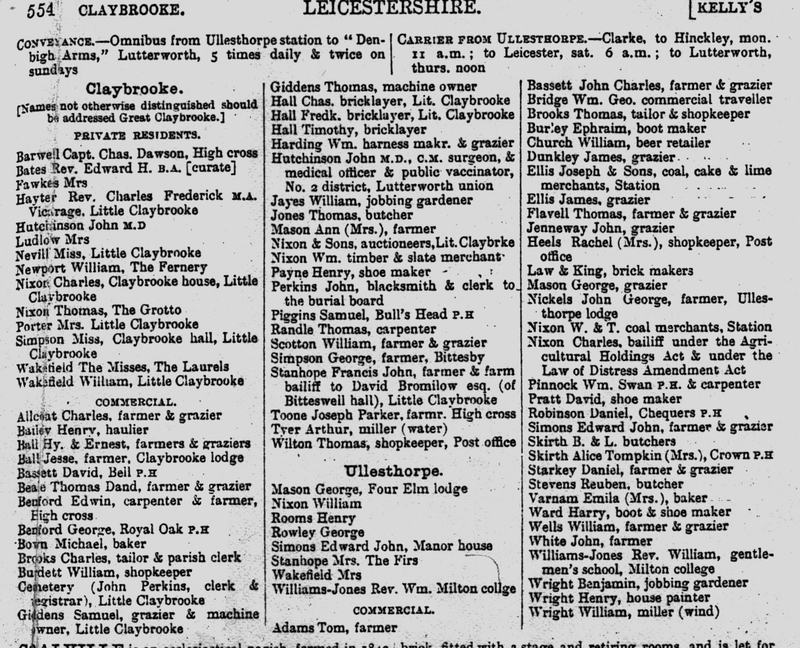 The one born in Gilmorton, Leicestersire would have been a good candidate for having a son named Benjamin, but he died in 1713 leaving his wife Mary Crick with 3 small children living in Husband Bosworth and none of them a Benjamin. Did any of his siblings born before him, name any of their children after him? While I was searching The Genealogist, I came across an interesting record…. Sleeth Mary wife of Benj, Gent Servant, 29 Rugeley Staff. In 1772, at the British Lying in Hospital (for “poor and distressed married women”) in Endell Street, St Giles in the Field in London, I found a record for male child born to Benjamin and Mary Sleeth. I would have discarded this as a possibility as I know there are many Sleeth’s/Sleith’s/Sleath’s born in the London area, however they listed their Parish of Abode as Rugeley, Staffordshire….6 miles from Abbotts Bromley, 10 miles from Bloxwich and 12 miles from Church Eaton. He was a Gentleman’s Servant….A valet or “gentleman’s gentleman” is a gentleman’s male servant; the closest female equivalent is a lady’s maid. The valet performs personal services such as maintaining his employer’s clothes, running his bath and perhaps (especially in the past) shaving his employer). This Benjamin may have entered service as a younger man and worked his way up to this position. Surgeon in attendance would be called to judge whether the birth would be an easy natural one and could be left to the Matron to deal with, or would need continuing medical involvement. From 1752 female pupils were admitted to learn midwifery, usually for a period of six months. In 1756 the Hospital changed its name to the British Lying-In Hospital for Married Women to avoid confusion with the City of London Lying-In Hospital, which had opened in 1750, and theGeneral Lying-In Hospital, which had been founded in 1752. The oldest maternity hospital in London, the Lying-In Hospital for Married Women, opened at the end of 1749 with the Duke of Portland as its President. 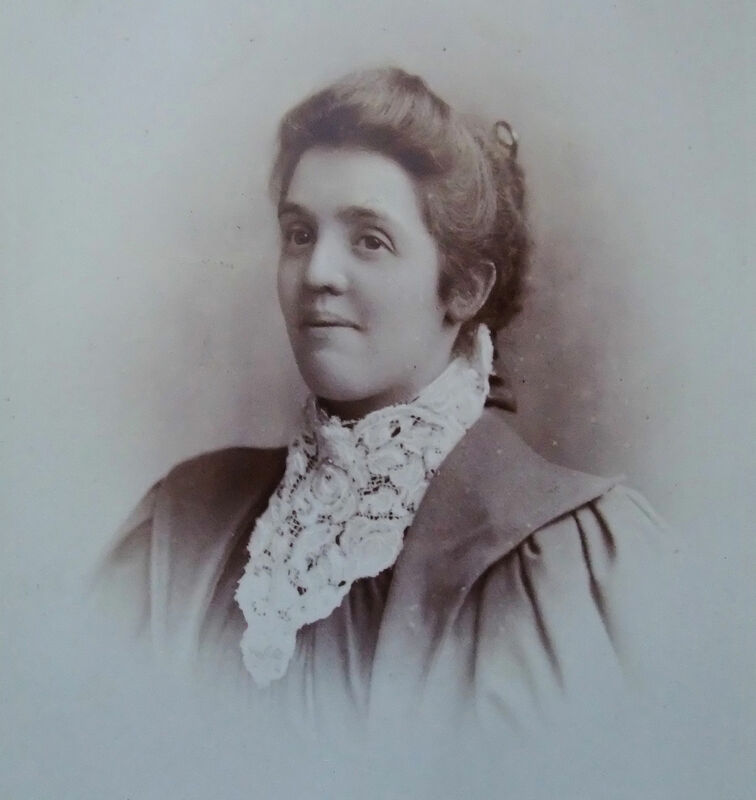 It had been established by a group of governors of the Middlesex Hospital, who were dissatisfied with the facilities available in that Hospital for women in labour. 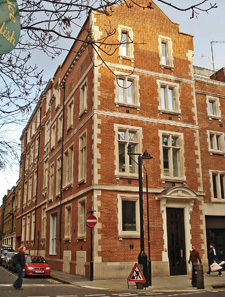 They purchased a house in Brownlow Street (now Betterton Street), off Long Acre, and furnished it with 20 beds. The staff consisted of two physicians and two surgeons who practiced midwifery, a Matron skilled in the same, a chaplain, an apothecary, nurses and “other inferior servants”. Women were admitted in the last month of their pregnancy – they were only permitted to stay for three weeks – and needed a letter of recommendation from a subscriber (patients were not charged by the Hospital) and an affidavit of their marriage and their husband’s settlement. 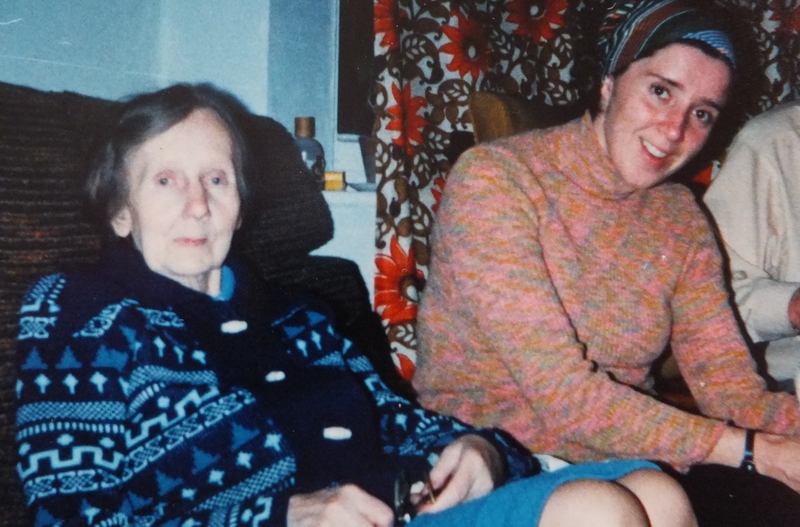 Patients received breakfast at 9 o’clock, lunch at 1 o’clock and supper at 7 o’clock. In the winter they went to bed at 8 o’clock and in the summer at 9 o’clock. 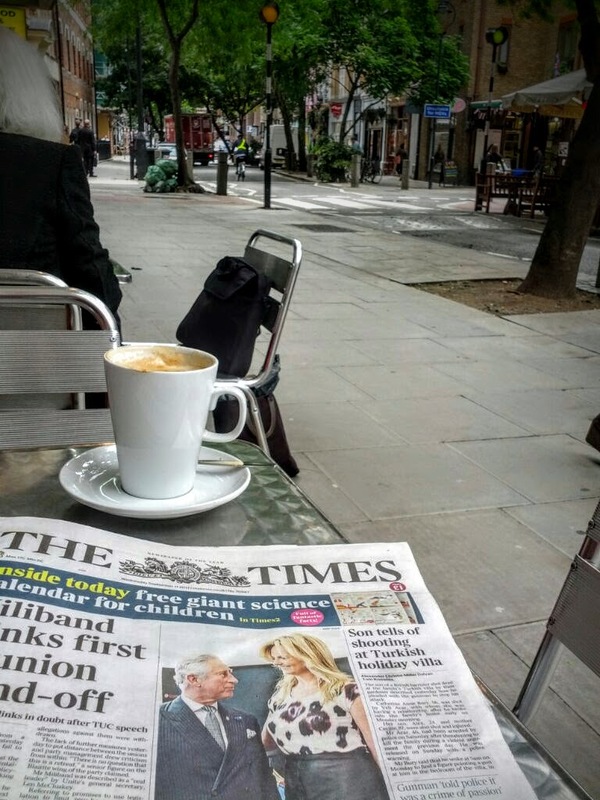 In a strange coincidence, I had walked Edell Street many times before on trips to London and often had coffee at a small cafe….turns out I had a view of the Lying In Hospital but I was unaware of what the building had been in earlier times. Another record for the same birth date, lists a girl Jane as being born to Benjamin and Mary Sleith……so was it a boy or a girl or twins or a different Benjamin and Mary or transcription error. Had Benjamin been hired as a Gentleman’s Servant in Staffordshire and come to London with his Gentleman. Did his gentleman live in London with a country house in Staffordshire or did his Gentleman live in Staffordshire and have a London house? I kept looking in that area and discovered a Richard born to Benjamin and Mary Sleith in Wandsworth in 1767. Wandsworth in those days was rural and agricultural. Was this the same Ben and Mary? Did the Gentleman have a home in this area? Was this Benjamin and Mary the parents of Jane? More Records more confusion….This Record was discovered among the Clandestine Marriage Records in London for 1667 to 1754….on Ancestry. A Benjamin Slyth of Walsall married Mary Thompson of Santree, Ireland on August 3, 1717 in London. Officiating Ministers: Vyse, Draper, Evans, Wagstaffe, Floud, Gaynam, etc (1709 Nov – 1721 Apr) (Ancestry) Now whether this was my Ancestor, I can only surmise. Again the reference to Walsall, (Bloxwich was a chapel of Ease from Walsall Staffordshire) would give me pause for my thinking. Was this a young couple…. he Church of England, she a Catholic from Ireland and were they pregnant? Did they run away to London to be married or were they already in London? Did they remain in London or return at some point to Staffordshire. Did they have a son and name him Benjamin? What was a clandestine marriage? A Fleet Marriage is the best-known example of an irregular or a clandestine marriage taking place in England before the Marriage Act 1753 came into force on March 25, 1754. Specifically, it was one which took place in London’s Fleet Prison or its environs during the 17th and, especially, the early 18th century. Facts are beginning to build. 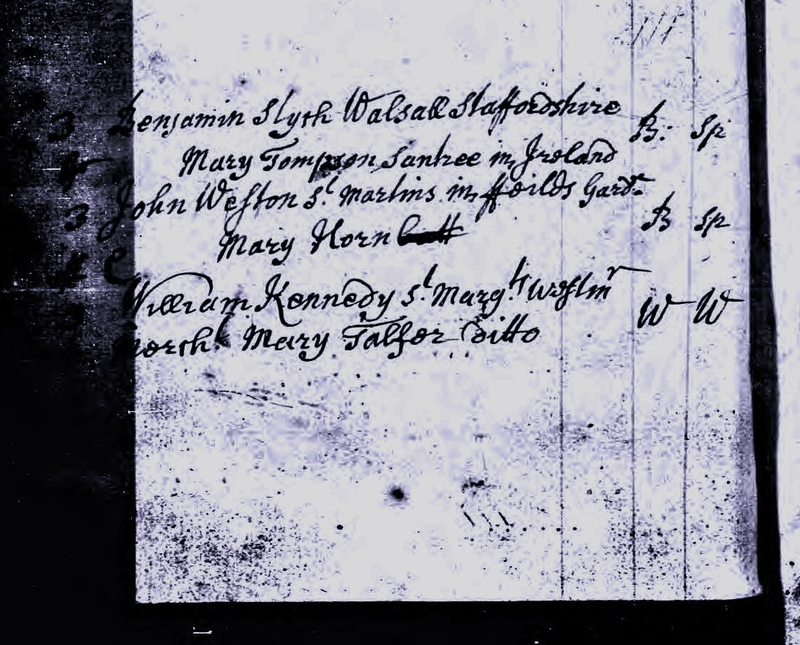 Early 1700’s Benjamin Sleeth is born …SOMEWHERE..
13 years between these records…..so Mary, mother of William, would have only been 13 when she married in 1753. How likely would this be? “Under Lord Hardwicke’s marriage act in 1753, the law was changed so that anyone under twenty one had to have the consent of guardians or parents, but there was no lower age limit. It also had to be celebrated in church and an entry had to be made in the parish register and signed by both parties. The law was introduced to in response to agitation on the part of the nobility, who were alarmed at the ease with which young heiresses could be trapped in indissoluble marriages, and have their money stolen! Ithis a different Mary? An entirely different couple? Does this Mary die and Benjamin married a different Mary? 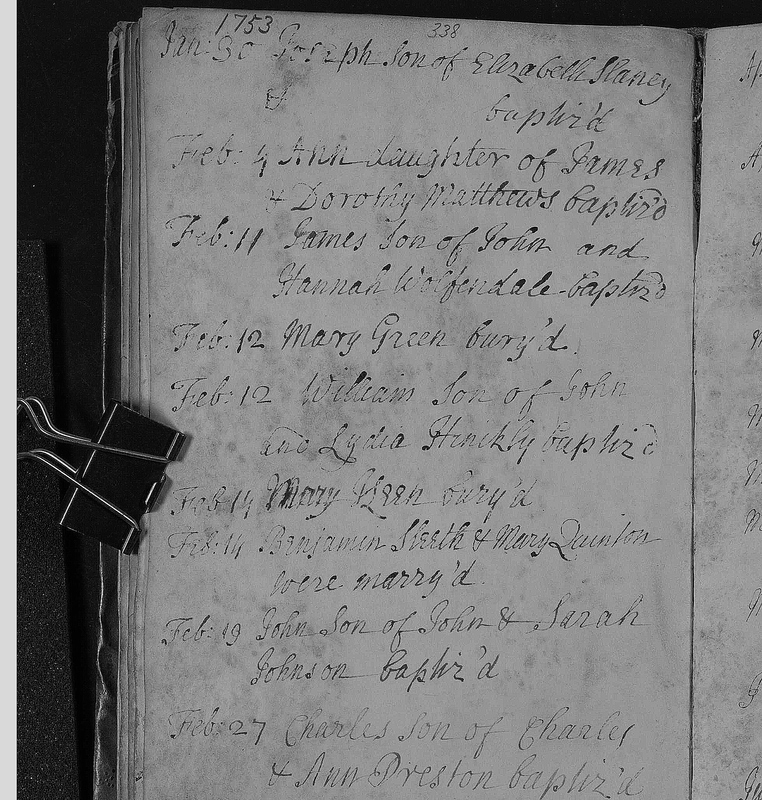 1769 Benjamin and Mary Sleeth (26) have a son William baptised in Church Eaton...Home Parish? 1772 Benjamin and Mary Sleeth have a male child at the Lying in Hospital in London and list Rugeley at their abode…he a Gentleman’s Servant. Mary is 29 so born c. 1743. Still there are so many questions…are these Benjamin’s the same or different people? What about the Mary’s? Why are there no Sleeth Children born between 1753 and 1769. Does Mary Quinton Die and Benjamin doesn’t remarry for several years? again to another Mary? Stable block in Claybrooke Parva, Leicestershire showing my Great Grandfather’s handiwork. Just reading the May Clandigger published by the Edmonton Branch of the Alberta Genealogy Society and the article about the BRICK in the Wall. It reminded me of an email I had received some time ago from someone from my ancestral village…Claybrooke Magna/Parva in Leiecestershire, England. 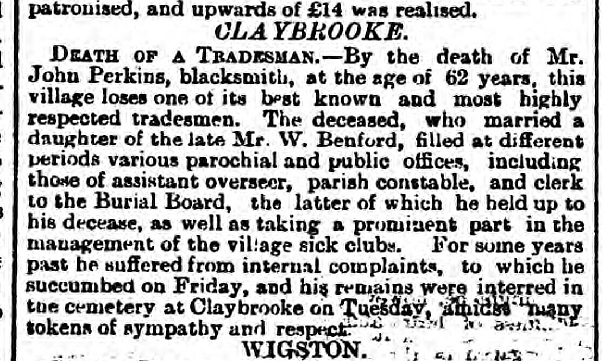 I had posted an enquiry on the Leicestershire Village Website re the Perkins Family. Nicholas Jenkins references his stableblock (see picture 1891 ) with the name of my great grandfather…John Perkins. “Paul Smith, who is my neighbour, passed a copy of your email to me. I can’t tell from your email where you are located. From your note it would appear that you might be abroad. If so, are you in Canada? You will see why I ask the question later in my message. I & my family have lived in Claybrooke Parva since November 1979. There was a chap who lived in Magna named Tom Perkins & I suspect he was the chap who Paul Smith spoke to. He was much involved with village life & I believe served for many years on the Claybrooke Magna Parish Council. He moved to Lutterworth in his latter years where, I presume he died. My home has a stable block that was erected in 1891 and the ironwork was made by J Perkins of Claybrooke Magna – see attached photo & note that the village had no ‘e’ on end. The number 1 under the crown indicates the quality of the iron as there were different qualities used for things like hinges to pots & pans etc. 1 is the lowest quality. I have a sheet on this somewhere but can’t find it. It would seem that this would have been John Perkins – see attached document. I have not studied the family tree but your photo would seem to be early 20th Century. This would make me think that the John Thomas shown would probably be son of the John who died in 1896. The Tom Perkins I knew – but only in passing – did tell me a bit of history when I showed him our stable block iron work. Tom Perkins told me that he was named after his uncle, the Claybrooke Magna Blacksmith. His uncle emigrated to Canada after WW1 (early to mid 1920s??) to make a better life for himself & family. Would our Tom have been named after John Thomas? Is John Thomas the man who emigrated & Tertius (3rd son?) would have gone too? Hence I ask if you are in Canada. Tom did tell me that the Perkins smithy also made most of the ironwork in the cemetery & around the churchyard. Sadly a lot of that was used for military purposes in WW2. Note: My Grandparents and my dad, then 9 years old, emigrated to Canada in 1913. Don’t know who Tom was named after…perhaps it was his uncle John Thomas. That’s about all I have. If you’ve contacted the Benfords then I would have thought they’d know something more on Perkins. 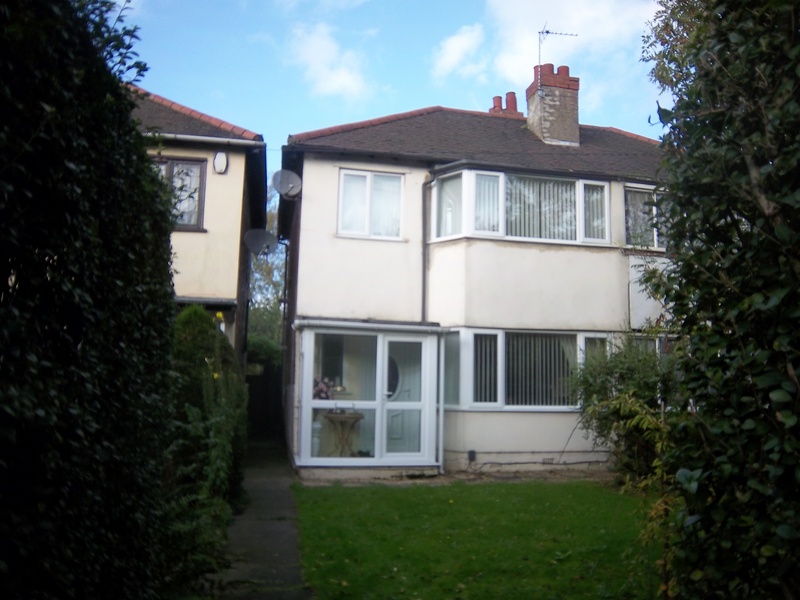 The buildings you have in your 2011 photo are for sale at a very high asking price & planning permission for 4 homes. The agents are Wells McFarlane see attached.” Regards..
Main Street Claybrooke Magna as it looks today. Property was up for sale on my last visit.